"I am sad to say this is our last night here at the Belize Jungle Dome. These past few days have been paradise for us. 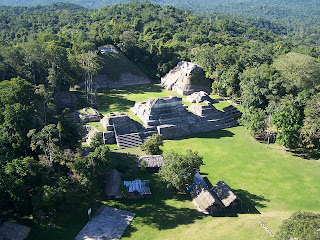 The culture and rich history of Belize just seem to entrap you making you never want to leave. The staff here have been beyond excellent. I feel that we have definitely received the royal treatment for our honeymoon." Our stay here has been amazing. All of the trips were fantastic. 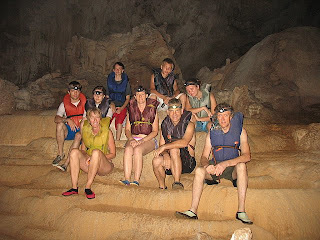 We did the cave tubing/zip line, Tikal, horse back riding, mountain biking, Black Hole Drop, Kayaking, Zoo and ATV’s. Everyone had a blast! We love Max and Phoebe. Max got into a fight and recovered great. He is a great guard dog. Lucas and Aidan are so funny and are great entertainment. David did a great job learning everyone’s names. He was really fun to talk with. We hope he becomes a guide. Andy & Simone were just amazing. They make this stay even more fun. The food was so good. There wasn’t one person that didn’t like it. The service was spectacular. We had a wonderful time here at the Jungle Dome. Being our first trip to Belize, we weren’t sure what to expect. We were astounded by the beauty of the country, how nice the people are and by the variety of things to do. All the staff, especially Karen and Luis, were exceptionally informed and helpful. The food was good and there was plenty of it! Our favourite trip was to the ATM Cave. Everyone should experience the magnificence of this cave. 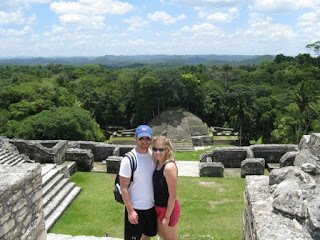 Caracol was beautiful as well, although beware the plethora of fire ants! Swimming in the natural pools after Caracol was great too. Thanks to the Jungle Dome for an amazing time! We are off to the beach for some diving before returning home. We decided this year to make our anniversary trip an adventure. The Jungle Dome and its staff made our home away from home a great place. We have had a fantastic week. Coming at this time of year was great because in most cases our activities were simply us and our guide. ATM – what an amazing trip! First swimming in among the cave was neat but then to be able to see and admire such a beautiful place. Francisco did a great job explaining what occurred and what they think happened in such a sacred place. 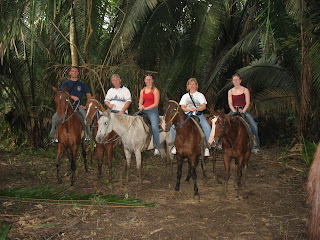 Horseback Riding – it was a pleasure to actually run the horses and learn from Cesar. Che Chem Ha cave – what an amazing cave and to be escorted by William , the guy who found it. Amazing that places like these are all around. Keep the bug spray bottle full, know that 95% of the roads are bumpy, enjoy the adventures and absorb the Belizean culture, life and people. A fabulous experience, fun filled from start to finish. You all made us feel so welcome. Thank you! Everything was amazing! Had such a great time, thank you so much! What a magical place! Our stay here far surpassed our expectations. From the comfortable and clean room to the amazing food to the friendly and helpful staff and guides. Everyone was so accommodating. Belize is a special place. Our guided tours of the country, caves and ruins were fabulous. We will definitely be leaving with a lifetime of memories and good stories. Thank you for sharing your home in Belize with us. This truly is a special place. David is a wonderful host and the kitchen staff is unparalleled. Max is a true guardian of life and property. Phoebe is as sweet as ever. Our honeymoon was very special and will be remembered. I am sad to say this is our last night here at the Belize Jungle Dome. These past few days have been paradise for us. 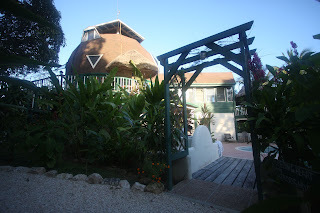 The culture and rich history of Belize just seem to entrap you making you never want to leave. The staff here have been beyond excellent. I feel that we have definitely received the royal treatment for our honeymoon. Upon our arrival we were greeted by Luis, who gave us a history lesson as we drove in from the airport. He is such a wealth of knowledge. Karen made us feel right at home and our candle-light dinner on the balcony of our room was perfect. The food was beyond compare at every single meal. 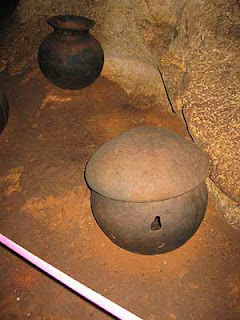 Our first adventure was to Caracol with Luis and once again we learned so much. I think this adventure was one of my favourites. The Mayans were such an interesting people and Luis never missed a beat with trying to show us everything. Our next adventures consisted of cave tubing with Luis, ATM with Orlando, horseback riding with Cesar and a trip to the zoo with David. ATM was definitely an experience I will never forget. It’s extremely challenging trying to get to the cathedral but well worth the trip. If you have time for the zoo it is a must. Everyone here – Karen, Luis, David, Wani, Tea and the rest of the staff – have made this a trip of a lifetime. Getting to know them and where they come from and the rich history here will definitely bring me back for another trip to Belize. The ATM Cave was probably my favourite trip. It’s a challenge but the cathedral is amazing. Luis is awesome. He is basically a history book on legs and he is not bad with the botany and zoology either. I loved listening to Karen’s and David’s stories of how they ended up at the Jungle Dome. Karen makes me want to pack up and move to Belize and David is a complete inspiration. The food has been excellent and I am going home fat! I loved the zoo and horseback riding was a blast! Everyone here has been so nice and helpful. I can’t wait to come back. 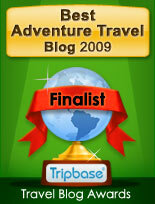 Are you looking for a unique Vacation Adventure for your family in 2009? 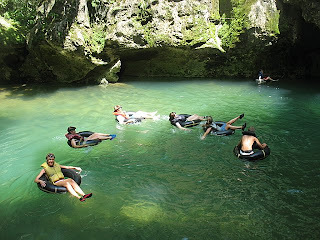 Green Dragon Belize Adventure Travel offers families customized packages to Belize, Central America. We are not Disney and we are not suitable for everyone but our Indiana Jones Vacation experience has created a high customer satisfaction for our guests. Exploring Mayan temples, Caving, Kayaking, Jungle Horseback Riding, Night Walks, Cave Tubing, Scuba Diving and Snorkeling all feature in our Inclusive Adventure Packages. Thank you all for such a wonderful experience! It made for a wonderful mini trip before we get married in two days. The food was amazing. We never left a meal hungry and everybody was very friendly. 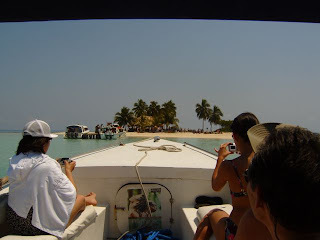 We came to Belize not knowing what to expect and have fallen in love with this country. 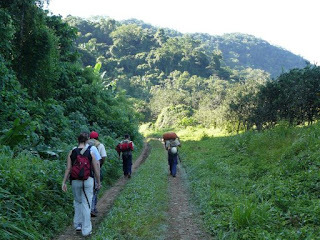 As our trip continues, we hope that Southern Belize is just as beautiful as it is here. 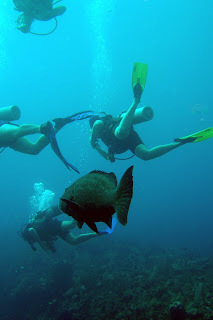 Green Dragon Adventure Travel offers exciting Scuba Diving Packages in Belize, Central America. If you want to book for Christmas 2008, do so soon as availability on the islands is becoming limited. Rate Per person based on 2 Adults Sharing is $1,641.00 USD. Or Upgrade to a Luxury Ocean Front Suite for $2,460.00 USD per person including taxes. Rate Per person based on 2 Adults Sharing is $1,731.00 USD. Or Upgrade to a Luxury Ocean Front Suite for $2,550.00 USD per person including taxes. 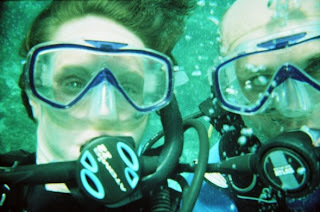 After the Peak Season for Christmas 2008, rates for 2009 Scuba Diving Packages will be lower. After your mainland adventure hit the tropical island of Ambergris Caye where you can relax in a beautiful beach front Suite and unwind after the inland excursions. 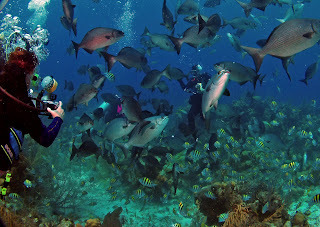 For the couples with boundless energy more fun waits on the islands, where you can scuba, snorkel, fish or watch the graceful manatees. 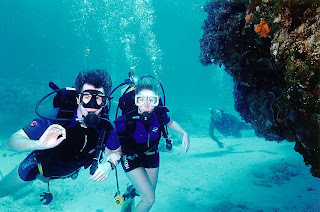 For more information visit our website at www.greendragonbelize.com or email us at info@greendragonbelize.com, where our friendly staff will help you organize your adventure honeymoon of a lifetime. 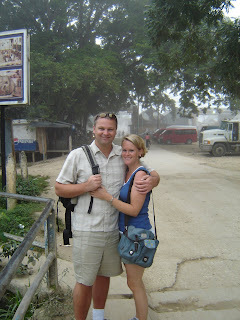 We can customize your Belize Honeymoon Package for 2009 and we look forward to seeing you in Belize soon.